Magnanimity isn’t Jose Mourinho’s strong suit. Normally, there’s as much chance of witnessing the Chelsea manager being gracious in defeat as catching a glimpse of Lord Lucan riding Shergar, being pursued by the Abominable Snowman along the banks of a famous Scottish Loch with a certain ‘Nessie’ watching on. The self proclaimed ‘Special One’, the tactical genius who had breached Fortress Etihad just 12 days before, was out-thought and out-manoeuvred by Manuel Pellegrini as City totally outplayed a nigh on full strength Chelsea team. At first glance Mourinho’s new found munificence would appear to shed a different light on his two-faced approach. “I would say that City played much better than us and deserved much more to win. The game was simple to analyse – they were the best team and they won,” said the vanquished one. Generous, to a degree, Jose couldn’t let his failings be just that, when he said City were so much fresher due to the postponement of the Sunderland mid-week fixture, referee Phil Dowd and his assistants were poor in the second half and City’s second goal was offside. In fairness there was a validity about Jose’s observations, but what goes around comes around and this was a night of atonement and revenge for Pellegrini and City. All the pre-match nonsense about Mourinho sending out a makeshift side was blown away when he announced the same side – bar the injured John Terry – which had comprehensively beaten City and, according to some, burst Pellegrini’s bubble. The prophets of doom had City as a team in decline after the stalemate at Norwich and the onset of a goal drought of all of…well 180 minutes. With a trio of midfielders – Milner, Garcia and Nasri – previously unavailable for the PL clash, Pellegrini had tactical options, even without key performers Aguero and Fernandinho. The wily Chilean had learned lessons from the 1-0 reversal and, if there were any doubters about the existence of a ‘Plan B’, they should now be in a very small minority. That said Pellegrini still did not compromise his side’s attacking instincts, but he did quell Chelsea’s. Hazard and Willian were denied time and space as City’s midfield worked with an intensity and commitment previously lacking. Milner was magnificent in helping Zabaleta nullify the threat of the in-form Belgian, whereas Willian was hussled and harried into a non-performance. The giant-like Matic – a man who even managed to dwarf Yaya Toure in physical stature – was largely irrelevant, unlike his former Benfica team mate, City’s Javi Garcia who was a revelation. Much maligned – often with good reason – the Spaniard stepped up to the plate and delivered a textbook showing of what a holding midfielder can and should do. Garcia was a joy to behold and was narrowly edged out of the Man of the Match stakes by the sublime David Silva. This was supposed to be the match where Mourinho delivered a devastating psychological coup de grace to wreck City’s season. Somebody omitted to tell Vincent Kompany & Co.
City did a 360 degree turnaround on an over confident Chelsea and consigned them to the FA Cup scrapheap for a second successive season. From the outset, City had a desire and a purpose that far exceeded that of Mourinho’s side. Chelsea failed to register a single strike on target – it’s a statistic that amplifies City’s dogged defensive showing. Kompany was his usual imperious self and Lescott – always 200% better alongside his skipper – looked solid and effective. Pellegrini would be wise to keep with this tried and tested duo between now and May, even if it is now inevitable that Joleon will be departing at the end of the season. 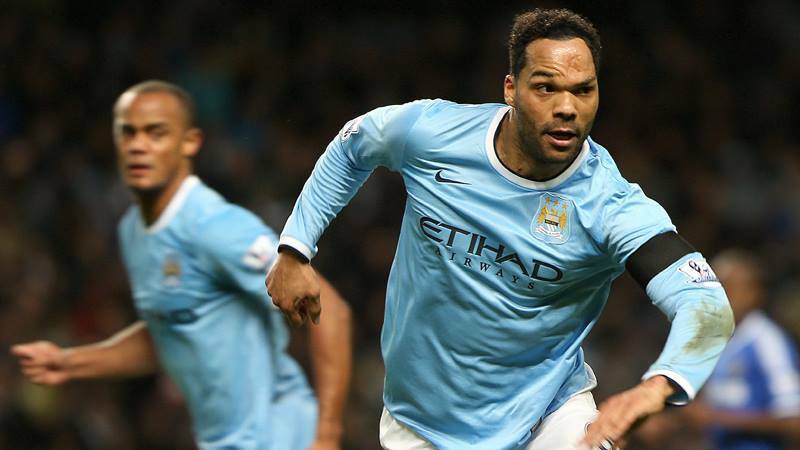 Lescott still nurtures ambitions to be part of England’s World Cup campaign in Brazil this summer. On this display there’s every reason why he could yet be on the plane to Rio. It was vital that City’s ‘squad’ players step up and cover the gaping holes vacated by Sergio and Fernandinho and boy, did they do just that. Stevan Jovetic in only his fifth start was all-action and energy and he proved a strong foil to Dzeko. The Montenegrin only just failed to cash in after Cech fumbled a Yaya Toure pile-driver in the 15th minute. Quick as flash, Jovetic latched onto the loose ball only to see it dink off the crossbar. 90 seconds later Jovetic deposited the ball in the Chelsea net after slick approach play by Silva and a well measured assist from Dzeko. Jovetic intelligently found space in the 18 yard box and passed a slide rule, side-foot shot in off the post. Dzeko then tested Cech with a powerful left foot curling drive which the keeper parried away. It was all one-way traffic so the Etihad faithful wondered what ‘genius Jose’ would do about it courtesy of his half time team talk? Ultimately the answer was a big fat nothing, as Pellegrini just turned the screw tighter. The sour-faced one had taken off Eto’o and replaced him with the Egyptian novice, Mohamed Salah, but to no avail. Jovetic continued to excel, but blotted his copybook with a theatrical dive which would have delighted the Royal Shakespeare Company. He had minimal contact with ‘Sideshow Bob’ David Luiz, and went down with a triple inward pike and a half twist…well not quite, but it was blatant, and not the sort of thing endorsed by the Etihad crowd. Kompany and Pellegrini need to tell the 24-year old attacker that this isn’t Old Trafford, his name is not Ashley Young and diving won’t be condoned in City colours. Read But Never Red is many things but not hypocritical. Let that be Jovetic’s one and only dive in City colours. 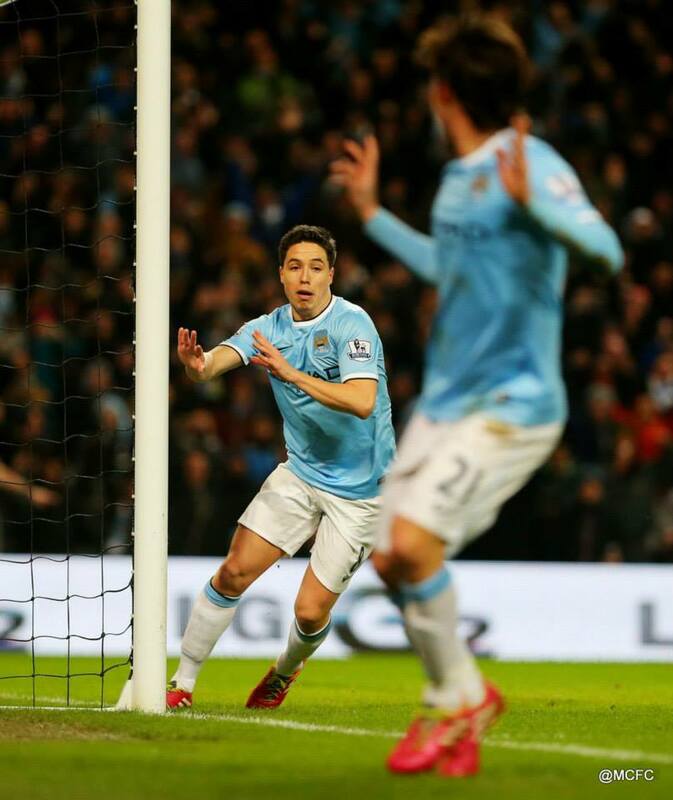 Samir Nasri replaced the Tom Daley wannabe in the 61st minute. The inventive Frenchman had been in the form of his life before being scythed down at Newcastle last month. He picked up where he left off six minutes later, working a simple one-two with Silva, peeling opening the Chelsea defence before tapping the ball in the yawning Chelsea goal. 2-0, game set and match with 23 minutes to go, but with Mourinho and Chelsea obviously clueless as to how to stem the City tide. Lescott had a ‘goal’ rightly ruled out for offside but the victory was already won. Next up in the quarter finals is an emotional reunion with City legend Uwe Rosler, who brings his Wigan team to the Etihad for a re-run of last season’s Cup Final. Uwe will get a wonderfully warm ‘homecoming’ and, after the disbelief and disarray of the shambolic 1-0 Wembley defeat last May, Wigan should be in for a red hot reception. The unlikely quadruple is still on, but that will come into sharp focus when Barcelona breeze into Manchester in 48 hours time. The sooner Aguero and Fernandinho are back in first team contention, the sooner this Manchester City side can fulfil its massive potential. In the meantime the performances of Jovetic and Garcia have helped ease any apprehensions and kept the side on course for silverware. Sorry for teasing you Dave. Judging by the time of your reply I knew you were at work. Still that's the problem with being brilliant at what you do, people tend to rely on you. Not just for the insight, but also the humour. Still that's enough creeping for one night. Many plusses and Jovetic's calisthenics apart, no minuses. The old boy made six changes to Monday's team. Result, a rooting tooting performance, with stand out displays from Dzeko, Garcia (for me his best ever 90mins) and Lescott. Funny old game isn't it? The 'Snide Sniper'© lamentations about playing on Wednesday omitted to mention since Jan 1st City have played twelve games compared to Chelsea's ten, so if anyone should have been fresh it was the Chavs. I bet MP polished off a few bottles of Chilean Carmenere afterwards, perhaps even sharing a glass with Maureen as she tucked into her humble pie. Hopefully he'll be downing one or two more on Tuesday night, (me too). 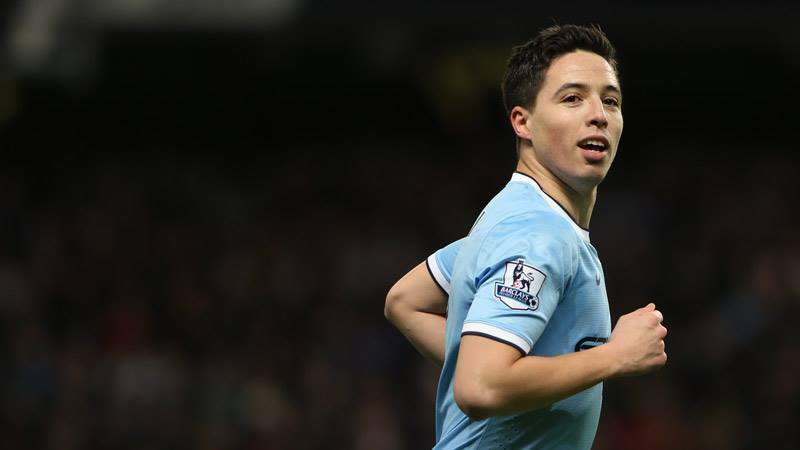 A super win, and good to see and hear the reception for Nasri when he trotted onto the field. Everyone did their bit, and Chelsea really didn't get a sniff of our goal. Hazard threatened just the once, when a nice shimmy took him past Zabaleta and Milner, but we managed to scramble the ball clear. Two lovely goals, and we could have had more, that would have made the day more satisfying. You can't ask for more than a home draw, and when it brings old friends back, and a chance to repeat the outcome of our previous cup game this season against Wigan, what could be better? One can only hope Dave Whelan doesn't stumble in the Chairman's suite and breaks a leg! I'll second that No 5! Brilliant! I also thought clichy made a massive difference in keeping ivanovic quiet. Agreed the whole side played their part individually and as a collective. Cheers Pete. As someone that has at times been very critical of Garcia, I thought he was excellent against Chelsea. He provided the cover to allow Yaya to go marauding forwards. For me it was his best game in a City shirt. Completely agree - let's hope he can maintain that level of performance for the rest of the season. I thought Lescott was superb and MP must surely keep him in the team. Our best pairing at CB by a mile. Yaya had his best game for a long time and Garcia finally showed us what he must do in training everyweek !!! An excellent team performance overall that should have any of the doubters retreating. Bring on wigan, Bring on another trip to Wembley !! !